Is this the way to find a bride? By Stephanie Constantina, In-House Writer at SingleDating.com. Well, to answer the question, if you are an unmarried man seeking unmarried girls with a view to marriage then it’s certainly a very direct approach — a ‘no holds barred’ phrase to type into Google, one might say. But is this direct approach of looking for unmarried girls seeking husbands really such a good approach? Girls are people, and this approach rather sounds like the kind of thing someone else might type into a search engine if they wanted to buy a new stereo. When it comes to human relations of course, things get a whole lot more complicated. Subtlety has to be the way of things here: the blatant approach doesn’t usually cut it. Naturally I know you don’t think of human relations in that way, I’m only teasing! All the same, we can’t get around the fact that human relationships ARE subtle, they DO take time to develop and to flower, there’s no denying that. So why am I even writing about the implications of using the phrase unmarried girls seeking a husband? Because strangely, there’s a significant number of people — men, obviously — who are looking for ‘unmarried girls’ through the pages of their favorite search engines. And this concerns me. Why? Because there’s simply no need to take this somewhat blatant approach to finding an unmarried woman as a potential girlfriend. I mean, whatever happened to romance? Surely we still live in a world, Internet or no Internet, in which romance — even “wooing a woman” — has a big role to play. We women — or most of us at any rate — don’t want to feel as if we are all lined up on a shelf just waiting gratefully to be selected. We want the subtlety, we want the chat, the flirting, the getting to know you… The whole deal! So come on guys, let’s have less of the searching for “unmarried girls seeking husbands” and more of the “meeting women for possible romance and love”! It’s really not such a big ask, is it? Browse your local personals and find someone who shares your interests and outlook on life now. Advice on how to flirt and how not to flirt in the online dating style from here at SingleDating.com. How to flirt with a single woman article here at SingleDating.com. We have loads more readable, entertaining and informative articles on dating and relationships advice and tips- check out our site map to quickly find them. I have included this link to a cross cultural marriage and relationships article for those who have the “mail order brides mindset” and should look at all the implications before getting into all of that. 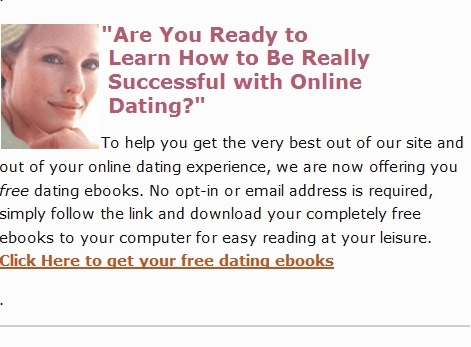 Please check the address bar of your browser — if you aren’t looking at this “unmarried girls seeking a husband approach” article at http://www.singledating.com/blog/ then you are probably reading an unauthorized copy as this content is exclusive to SingleDating.com and is copyright. Please navigate directly to www.SingleDating.com/blog now for the real page. Don’t forget to bookmark this post about not taking the ‘unmarried girls approach’ to finding love. © 2011 – 2012, SingleDating. All rights reserved. Absolutely! Dating doesn’t have to be a meat market. And why are these guys searching for unmarried girls?